So how do you go about choosing the most suitable engine type for your forklift? Electric vs Diesel vs LPG Forklifts. What is the best fuel type to choose? We review the three types to help you make an informed decision when acquiring a new or additional forklifts for your business. Before you get in touch with us here are a few things you ought to know. Because they are compact, electric-generated lift trucks can get around tight spaces, not to mention the fact that they are easy to operate. You pay a high price tag upfront though. The electric forklift is ideal for working indoors due to their low emissions, but just like the automotive industry, advances in the electric lift truck designs are now allowing them to be utilized in more outdoor applications than in the past. Those with seal components, including motors, controllers and connectors can also be used outdoors. Energy efficiency is a key factor to consider when selecting an electric lift truck. Although, it is important to factor in that batteries still require electricity from the grid, they have zero emission, which means a safe and healthy environment. That is why these can be called the Green Forklifts. Run times are critical to productivity for your operation, so the biggest consideration is the recharging process. 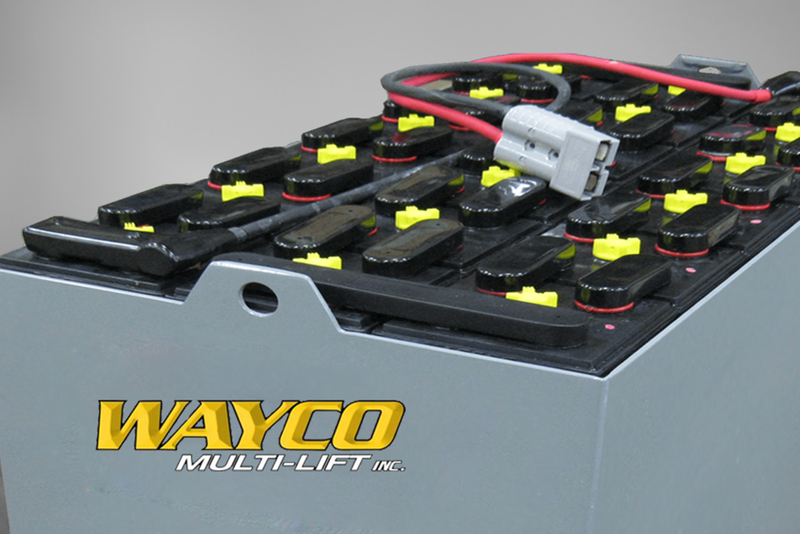 A typical battery for an electric forklift will take 8 hours to recharge completely and then an additional 8 hours to cool down before it should be used. For example, a single charge could last from 3 to 12 hours depending on the application and other factors. You may have to consider additional batteries if your operation has multiple shifts. We spoke about the high maintenance of a gas forklift, well batteries for the electric forklift need proper maintenance to extend the battery life. Electric lift trucks operate on battery power, resulting in considerable less maintenance than the engine powered machines due to the fact there are less moving parts. Electric forklift have no clutch or inching pedal, they only have an accelerator and brake pedal generally making it easier to drive than engine powered machines. Warehouses can take advantage of an electric forklifts’ superior maneuverability and enjoy their quiet, but faithful services because the battery weight of an electric forklift acts as an effective counterbalance. Electrics have a 3 wheel design which is great for narrow aisles due to their small and delicate turning ability. They also come in 4 wheel options offering stability and gradeability to help you handle heavy materials in steeper environments. Electric forklifts have a low center of gravity, so they are more stable at greater heights. In comparison to the propane forklift, the electric forklift is slightly easier to see behind the machine. The operator will have better vision when determining if the rear path is clear. The sky is the limit for fuel cell forklifts making the material handling industry a green one. Not only is this good for the environment but it’s also a bonus for employees in the workplace. The advantages now far outweigh the disadvantages. It is clear why electric forklifts have played an expanding role in equipment fleets with their safety, performance, and environmental strengths. For the average business owner who is looking for a good long term investment, going electric for material handling in indoor areas is an easy choice. There has never been a better time to go green and take advantage of the advancements made in operating an electric forklift fleet. By doing so you will have a safer and cleaner facility, reduced operating costs, and you will leave a smaller footprint behind while you improve the profits of your material handling operation. The technology of electric forklifts is growing every day and sales have outpaced that of traditional internal combustion forklifts for a few years, but electric forklifts are not suitable in all applications. Click here for a calculator that will give your operational cost difference for propane vs electric forklift by purchase price and maintenance. Diesels forklift need diesel fuel to run, which is more affordable than the electric forklifts. Diesel powered forklift trucks are ideal for applications where they are mainly used outside. Diesel also lasts longer as than other fuel types. Diesel forklifts have some of the most affordable long term operating and fuel costs among internal combustion forklifts. Diesel forklifts are more powerful and can out-lift the average electric forklift too. Exhaust catalysts and purifiers can reduce exhaust emissions and make the machine acceptable for occasional indoor use. Diesel forklifts are not adversely affected by wet or damp weather. Therefore it’s recommended that you get a diesel forklift if you need to do heavy lifting or if you use it outdoors in climates that experience harsh winters or hot and humid summers. The biggest advantage is their low operating costs. Diesel forklifts are the cheapest fuel option, they can be refueled on-site, and they are immediately ready to go. Sure you don’t have to refuel an electric forklift, but they are not cut out for outdoor environments the way diesel forklifts are. Comparing diesel with gas forklifts, the diesel fuel systems are internalized where propane engines are either external or rear-mounted and usually the diesel engine lasts significantly longer than propane engines. You will also have fewer maintenance issues as a diesel forklift requires less scheduled and repair maintenance and has longer engine life compared to propane models. Diesel forklifts are considered better in industrial applications or carrying heavier loads. Extra attachments can be added to a diesel forklift, like hydraulic attachments which do not affect its power nearly as much electric forklifts. The more components that need power for electric forklifts, the faster the battery and overall power of the forklift is depleted. The higher torque of a diesel engine forklift compared with an LPG truck makes it better on gradients and more powerful for towing duties or when used with a bucket on the forks for scooping aggregates, etc. When it comes to disposal, diesel forklifts usually have a higher residual value than LPG or electric machines. Diesel forklifts are available for use at any time of the day or night. Gasoline and diesel engines are the two most commonly used internal combustion engines even though their operations seem similar they have some interesting differences and each has advantages over the other. The following video is aimed at exploring these differences. Enter any industrial facility or warehouse,and chances are you’ll see propane forklifts in use. In fact, more than 670,000 propane-powered forklifts are in use in industrial, manufacturing, and construction businesses all over the country. When it comes to usability, having a forklift that can be used both indoors and outdoors without any decrease in safety or efficiency is a plus. Propane trucks are becoming more eco-friendly, affordable, and safe. Internal combustion forklifts are the most common forklift used to pull, push, carry, stack, lift or tier materials inside and outside. There are two types of gas forklifts.They can either be Liquid Propane Gas (LPG) or Petrol Gas. Although it is true that propane emission numbers can’t compare to the zero emission of electric, it is considered clean enough for indoor use and is safer to use than other gases except if there are food or beverage requirements. Propane forklift generates better performance, better horsepower and torque than electric forklifts. Easy to refuel, only replace the empty propane cylinder with a full one. Initial purchase price or capital cost is lower when compared with electric and diesel forklifts. Their travel speeds, rates of acceleration, and lift speeds usually outperform their electric/diesel rivals because of better power to weight ratios and more responsive engines. LPG storage cage saves valuable indoor storage space when compared to an electric recharge station, as the LPG is stored outdoors. An LPG engine will heat up faster due to the cylinder head temperature, even with a cold engine. The power you start the shift with will not waver or decrease as time goes on. As long as there is fuel in the tank, your forklift will operate at full capacity. Propane forklifts have more varieties of options to choose from. In addition, propane engines can last up to twice as long as their gasoline counterparts saving you money on maintenance. Higher costs when compared with electric. Freezing temperatures may cause starting or reliability issues. Each forklift has its own unique advantages and disadvantages. It is important for warehouses to examine their personal business needs and tailor their purchases towards the type and nature of their material handling. The main factors to consider when making your decision should be to take into account how long you need to be operating your forklift for every day, what type of surfaces will your forklift will be navigating, will your forklift be operating in a confined space and how much do you want to outlay for purchasing and running costs.